A few weeks ago I made this simple and easy ravioli dish. I used pre-made ravioli which makes this a quick meal - perfect for busy weeknights after work. To serve, top the ravioli with the breadcrumbs. Drizzle with olive oil. Enjoy! Great recipe for Tasty Tuesday! I definitely want to give this a try! Alyssa, this looks so good and is making me so hungry. I love your ravioli dish! Thanks for hosting. As always, this looks delish! Thanks for hosting! Thanks for hosting. Love your Ravioli. We're having a party and I'd love for you to bring this over. hello all fellow linker uppers! thanks for hosting Alissa! - this week i've linked up my (politically incorrect?) quinoa egg dish. delish, nutrish, and possibly a terrible idea. also, your pasta looks fabulous! obviously. as per usual. you make packaged pasta look GOOD! 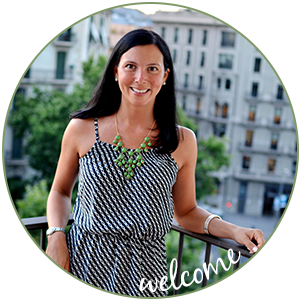 i hope to see you and your readers at the wednesday fresh foods link up this week - she's live!